Sturdy aluminium cast construction and easy-slide action. 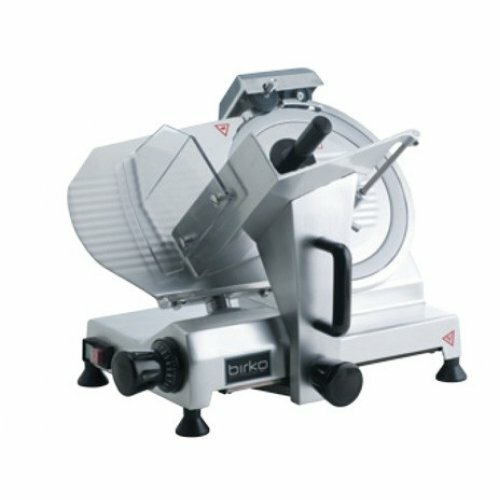 High quality, gravity fed meat slicers with stainless steel blades capable of slicing a variety of meats. Perfect for small and medium commercial operations. Commercial quality aluminium cast construction with removable stainless steel blade. Fan-cooled motor for longer operation. Practical - Easy-glide action and adjustable blade settings for varying thickness. 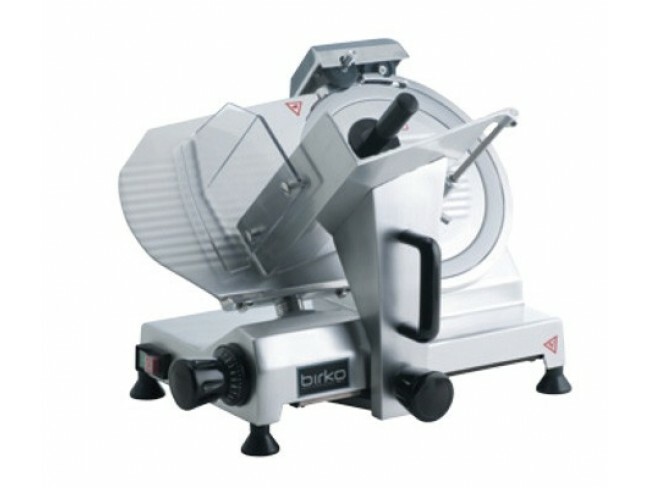 Belt driven and comes complete with blade sharpening stones, adjustable moisture deflector and safety cut-out switch. Safe - non-slip rubber feet with ABS handles and dials, blade and back plate safety guards, blade removal tool. Warranty 12 months full parts and labour warranty.